So you want to buy a pedigree dog? Many people buy a pedigree dog because they feel that they “know what they are getting”, but even for owners with a long history in a breed, serious problems with breeding, including the prioritisation of looks over temperament, have meant that dramatic and damaging changes have occurred in many breeds in recent years. Even the best breeders cannot be sure that they are selling a dog that will be free from inherited problems, but with the right research, it is possible to make sure that you are not buying a dog that has a strong likelihood of suffering from a known disorder and, most importantly, will suit your lifestyle. The Fédération Cynologique Internationale is the body that “recognises” the most breeds at approximately 350, which they group into 10 categories. The UK Kennel Club currently (2018) lists 221 “breeds” which they recognise as pedigrees, grouped into 7 categories. None of this will be relevant if you have no intention of showing your dog, but bear in mind that it can be confusing just locating a “breed”. At the time of writing, the American Kennel Club “recognises” 179 plus 17 that are on a “miscellaneous” list and a further 49 that they regard as “Foundation Stock”. The Australian National Kennel Club recognises 127. Comparisons across even these three bodies are awkward because they do not even agree on nomenclature. For instance, what to the UK KC is a Cocker Spaniel becomes an English Cocker Spaniel in the USA, but Americans call a Vizsla a Vizsla and don’t much worry that it comes from Hungary. Presumably, the Cocker Spaniel on the AKC list is the American Cocker Spaniel on the UKKC list so what then is the English Spaniel on the ANKC list? Even a plain head count is not straightforward. The Belgian Shepherd is counted as one breed with variations in Australia but has four separate listings in the UK; the Australian Cattle Dog is designated twice by the ANKC because of a variation in tail length (!) but is not recognised by the UKKC or the AKC. So, you will need to bear in mind the origin of your dog and the variations designated by different breeders if you are contemplating buying a dog from outside of the UK or indeed showing across national borders. This is not a bad place to start as it is the purpose for which a dog has been bred selectively that underlies its size, temperament and likely behaviour. Dogs are adaptable and, with the right training, can easily adjust to being companions. However, they will still need an appropriate type and amount of exercise and stimulation as befitting their original purpose and will still exhibit behaviours such as a tendency to bark, chase or round up anything that moves if that is what they have been selected for originally. This is far more important than any so-called “breed standard” that Kennel Clubs produce; you need to assess the dog that you actually see and that breed standard descriptions such as “Gay, friendly” are nonsense, not to mention somewhat behind the times. The UKKC run an Accredited Breeder scheme. It is far from ideal or comprehensive, but you can at least see what health checks are recommended for your chosen breed, check the COI for your chosen parents and use the information when speaking to breeders. Bear in mind that there are good breeders out there who may not have chosen to register, be listed or even be involved in the UKKC. Equally, there are many anecdotal reports of Assured Breeders who are not abiding by the law, never mind UKKC rules. Kennel Club resources are limited and they cannot possibly make regular checks of all their assured breeders. In any case, breeders are required by law to be licenced and and inspected, although the law is ambiguous when it comes to exactly who qualifies as a professional breeder. Licensed breeders must, since October 1st, 2018, provide you with a written socialisation plan and they should have advertised their licence details with the notification that they have a litter for sale. They will also have been allocated a 1-5 star rating by the issuing authority based o their experience, standards of hygeine and welfare and general compliance with the new law. This is completely separate from any requirements of the Assured Breeder Scheme. Don’t be afraid to cross check details with the appropriate authorities and the Kennel Club, or for that matter, to report anyone breeding or selling a dogs without a licence to their local authority*. Ask about what support will be provided after you have bought a dog and for how long. Reputable breeders will want you to keep in touch for the life of the dog and will usually expect you to return the dog to them if for any reason you cannot keep it, although they cannot oblige you to do so. You may have to go on a long waiting list for a puppy and you might not have pick of the litter. Be prepared to wait for the dog that you feel is right and do not rush into buying. Ideally, you should expect the breeder to have done that for you. However, there is a great deal of variation in the knowledge of breeders, many of whom have been creating and perpetuating in-breeding and extreme conformations. 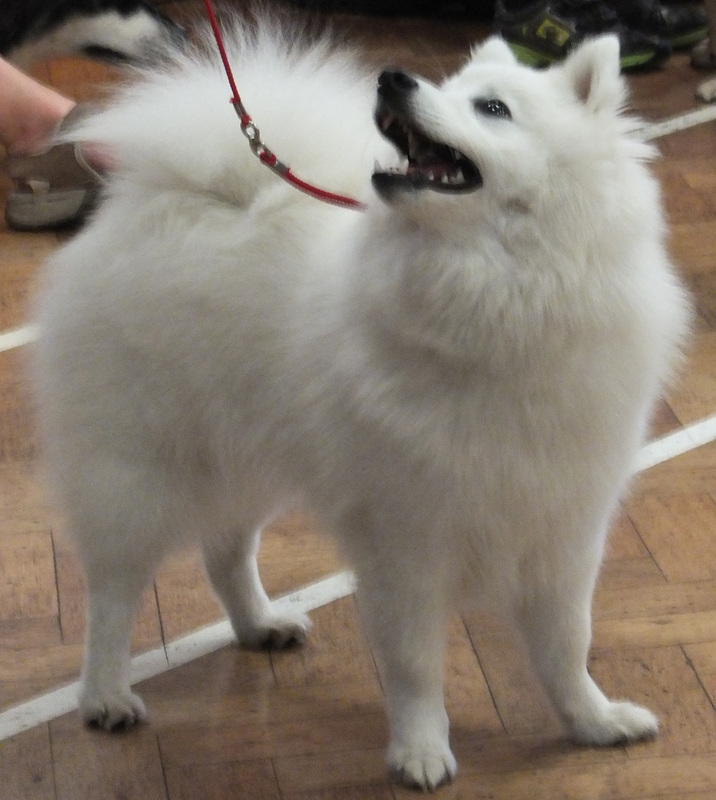 The UKKC has been forced to make moves to improve canine health and welfare but progress is glacial and accusations are still levied at hostility, to put it mildly, within the breed clubs when members attempt to adopt genuine improvements. In spite of it being prevalent in the breed, just an estimated 1% of all Labradors sold in the UK have been tested for hip dysplasia. Of the 35,068 Labradors registered with the UKKC in 2017, just 20% had recorded hip scores and 13% elbow scores. Even if breeders test, they are not obliged to record results, so the averages published by the UKKC for the breed only reflect the “best” scores of a tiny minority of the dogs registered, which in turn do not represent the UK population as a whole. The fact remains that the UKKC, and other kennel clubs, are still registering dogs with extreme conformations and supporting their breeding and exhibition. Again, as of October 1st, 2018, it will be a criminal offence for licensed breeders to keep a dog “…for breeding if it can reasonably be expected, on the basis of its genotype, phenotype or state of health that breeding from it could have a detrimental effect on its health or welfare or the health or welfare of its offspring”. (AWA 2006 as amended 2018) This highlights the necessity to check that you are buying from a breeder that has been licensed by their local authority, quite apart from any schemes that pertain to the UKKC. Responsible potential owners can hold breeders to account and help to improve canine welfare by not buying dogs with poor conformations. This will drive back srteet breeders, puppy farmers and breeders of dogs with extreme conformations out of business far more effectively than any legislation. Never normal for a dog not to be able to cope without ice packs and air conditioning on a moderately warm day or not to be able to exercise for reasonable periods without collapsing. You should be able to buy a dog that will not have a high chance of suffering from skin conditions, sensitive gut, eye problems and epilepsy or a host of other diseases. This makes selecting any dog very difficult. The best that one can do is to select a responsible breeder and check that the parents have been tested as clear for the most common known genetic defects within that breed. However, this is not a guarantee that the dog will be clear of inherited problems. The loss of genetic diversity in dogs occurred during domestication to a certain extent, but has been exacerbated to crisis point for many breeds with the repeated use of popular sires for breeding, line breeding of closely related dogs including father-daughter mating, breeding for specific looks without regard to the consequences and the closing of stud books which means that a dog can only be registered by a Kennel Club within a breed if both its sire and dam have been registered. Even a breed that has many KC registrations and is one of the most popular companion dogs is not immune due to poor breeding practices. In the year that the Golden Retriever reached approximately 80,000 UKKC registrations, with a further estimated 20,000 sold as non-registered companion dogs, the breed had suffered a 95% loss in genetic diversity since the 1950s – a period of less than half a century. It is important that both you and the breeder understands the coefficient of in-breeding for their dog. The UK Kennel Club provides a calculator that you can use to check how in-bred your chosen dog could be by entering the registered kennel name of the parents. Bear in mind that genetic tests vary enormously and the number of inherited disorders is growing faster than the identification of the responsible genes, never mind the development of tests to identify those genes. Some inherited diseases may not become apparent until the dog is well out of puppyhood and there may not be a genetic test available to confirm it, especially where more than one gene is responsible for resulting in an inherited condition. Some problems, such as hip dysplasia, may not cause the dog any difficulties if it is fed carefully and exercised appropriately throughout its life but some may severely limit the dog’s quality of life and ultimately result in premature death or requirement for euthanasia. All this seems like a lot to worry about when all that you want is to share your life with a dog, but responsible owners owe it to the future existence of all dogs to help to ensure that we do the best that we can to recover from the disastrous policies and practices that have brought dire consequences for canine health and welfare. * The law is rather confusing on this point and allows some leeway for interpretation. Many breeders may say that they are “hobby breeders” and think that they are therefore exempt as they have not bred more than 3 litters in one year. However, other considerations apply. When in doubt, contact the licensing authority (local council) for advice.